The Best of the Best from our features in 2014 continues! Either these details have been wildly popular on Pinterest or there was a buzz about them on social media, we have rounded them up into posts according to their respective categories. Today, we are sharing one of my other favorite wedding details ever… the cake. Covered in delicious sugary goodness, these designs take the cake (see what I did there?) when it comes to Hampton Roads wedding inspiration. 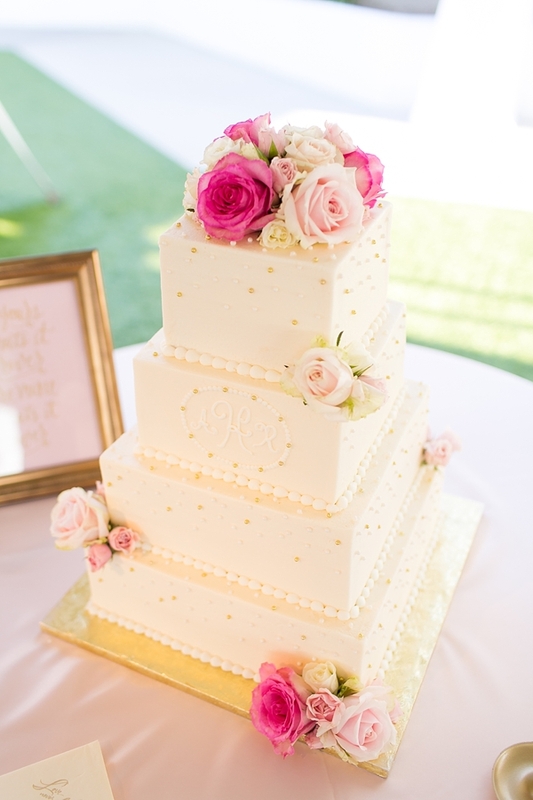 Tiers and layers, rustic and classic, detailed and simple, these cakes are gorgeous. So without further ado… the best of cakes from 2014! 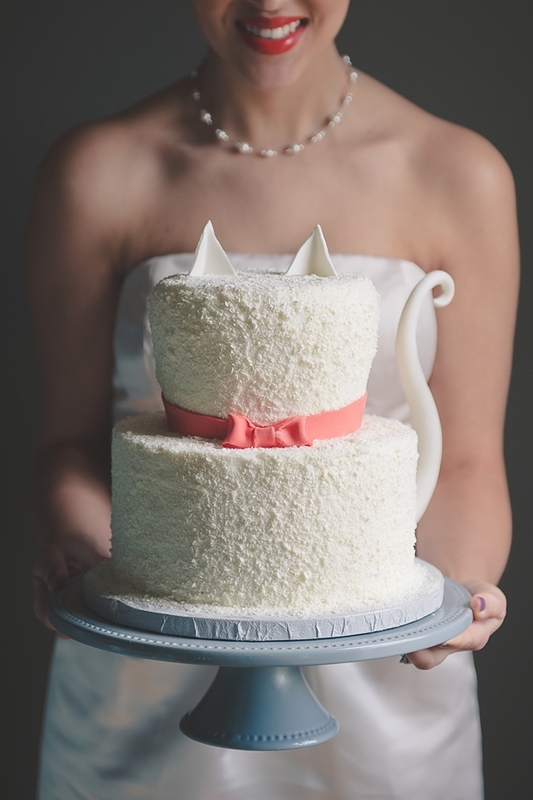 The cat-lovin' internet loved this modern cat cake from our bridal shower inspiration! With white chocolate shavings, this kitty is just too purrfect! 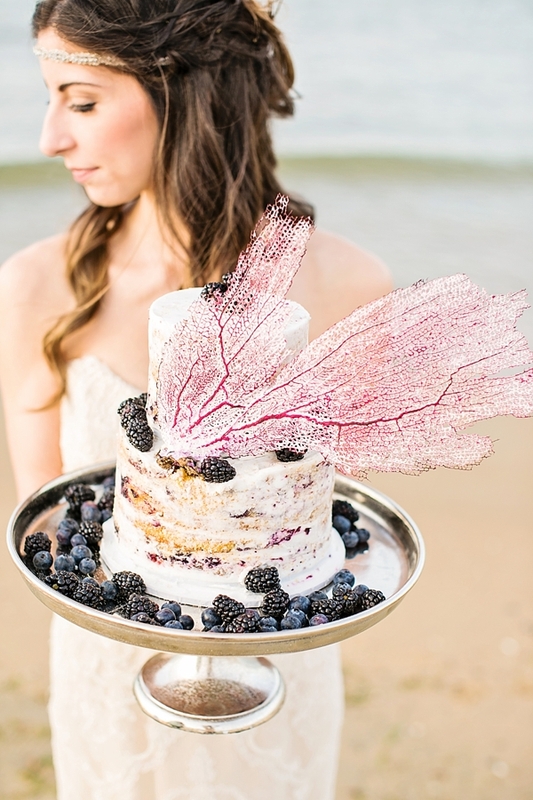 With a textured sea fan and blackberries and blueberries, this naked cake had just the right amount of icing for a beautiful Memorial Day-inspired shoot. 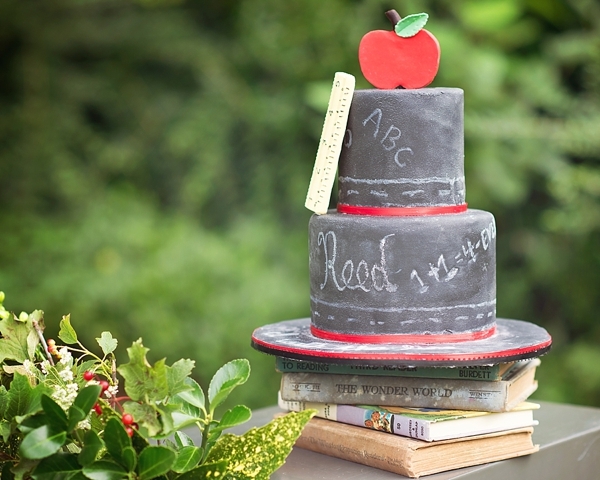 Teachers everywhere swooned over this adorable chalkboard-inspired tiered cake. 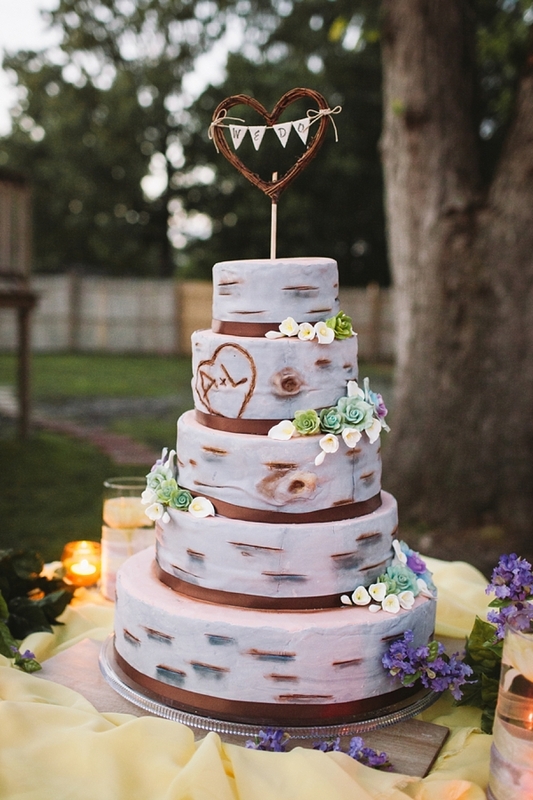 This sweet birch tree cake from Amber and Lisa's Chesapeake wedding is just perfection for any rustic wedding. Pink, gold, and everything sweet. You can't ask for a more perfect modernly chic wedding cake! 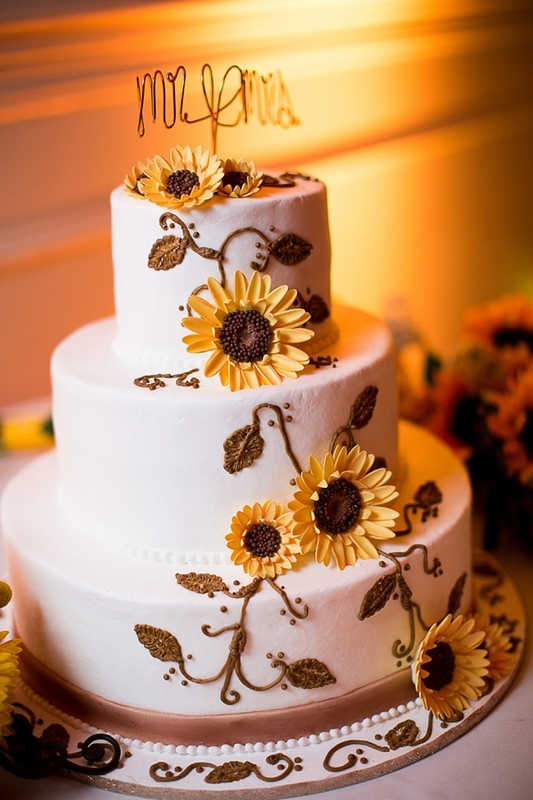 Radiating sunniness and cheer, this sunflower-dappled cake will brighten up any day, especially this Virginia Beach wedding. Stay tuned again in the weeks ahead as we share the rest of Best Of… moments/photography and color themes!